The Japanese Famicom had a much larger gaming library than the NES did (approximately 20% bigger), but sadly a lot of good titles never made it to the NES library for one reason or another. 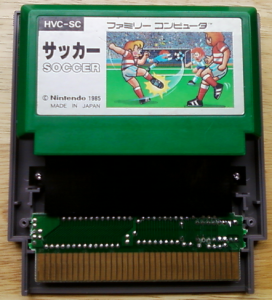 If you don’t own a Famicom and want to play these games in your NES, you’ll need to hunt down a commercially available 60 to 72 pin converter and they can be expensive! I did some research online and I’ve found a more interesting solution to this issue, and I’m here to help you out through my experience! 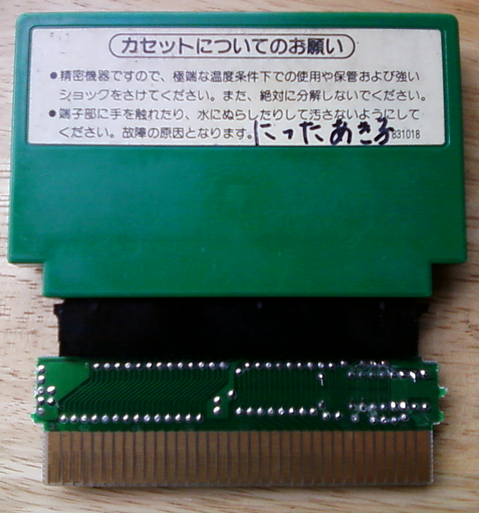 A fact most people may not know is that some of the early NES games were no more than Famicom ROM boards with a converter, stuffed into an NES cartridge. I’m not sure why they did this, so I won’t bother to speculate. 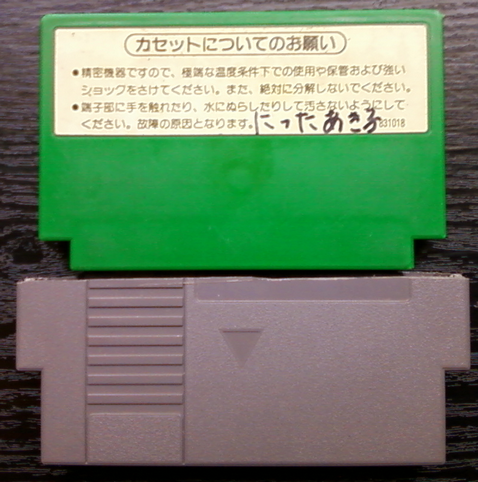 Among the list of potential converter carrying games is Gyromite, an extremely easy to find cartridge, but it doesn’t always yield a converter. I happen to own 3 copies of Gyromite, all of which showed supposed signs of having the converter inside, only 1 of which did. Here I will be explaining which games possibly have the converter, how to detect without a doubt whether or not your game will have one as well as what you need to do once you’ve found one. Now, which one of these holds the converter? Now, I’ve read many different methods on how to detect whether your game has a converter or not, but the truth is only 3 simple factors matter: A) It should be a game from the list above. B) The cartridge MUST have 5 screws. and C) The connection tabs on the board are off to the side instead of centered like most NES games. If your cartridge fits the required criteria, its a safe bet you can open it and find a shiny converter inside. 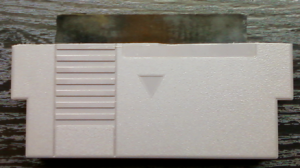 There are normal NES games that don’t have the converter inside but do have the offset connection tabs, so if you’re looking through your collection to see if you may already have one, stick with the listed games above. Once you’ve opened the game (which should only require a small flat head screw driver) and found the converter, you can’t use it just yet. 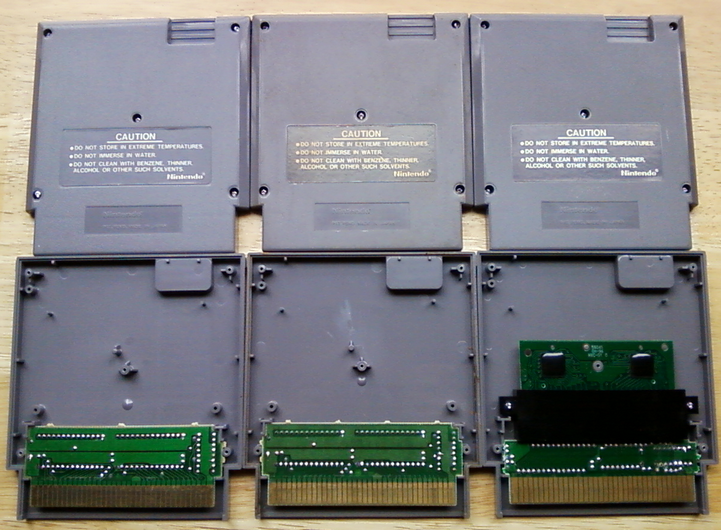 First you have to take the ROM board out and flip the black part over so that the longest side is now facing upwards. Also you are going to need to shave down the sides to allow the Famicom games to fit on top of it, don’t shave too much just enough for the cartridge to be seated solidly into the converter. 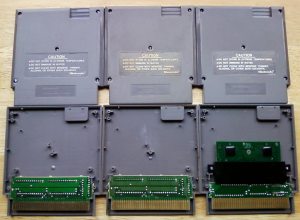 Next you will need to make a case so that everything stays together and you can easily remove it from your NES, you can use it naked but removing it from an old box NES will be a problem, especially if you have a new 72 pin connector installed. Most people just cut the (now empty) cartridge straight across leaving just enough room at the top to exposed the connector. Case design is all up to your personal tastes, but remember the Famicom cartridge must have enough room to be seated securely and you will need something attached to remove the unit, such as a string or fabric strip. All it needs now is a home! Before putting everything together you may want to clean the contacts so that you don’t end up with glitchy graphics. Once you’re ready to put everything together, you will need something to hold the black connector in place as you will find it moves quite a bit in both inserting and removing the Famicom cartridges. I’ve seen people use hot glue and others use double sided tape, I had to use a combination of both as the gap between the converter and the side of the casing was bigger than I originally thought. Finally, take the two remaining screws and put the case together, now you can play Famicom games on your NES! Not the best, but it was my first try. Famicom cartridges must be installed with the front label facing down. If you look at the converter and the Famicom cartridge, the bevels will be on the same side, so you know you’ve installed it correctly. The great part about this converter project is that (pending you can find one) they’re fairly inexpensive as well as having an official NES10 chip to avoid your system trying to lockout the Famicom game. I’ve tested mine and everything works great, its a fun little project and the converter is a great piece of hardware for NES fans wanting to expand their game library to games that weren’t available for the NES, until now! I found a converter today inside a Gyromite(R) cartridge. But the tabs were centered. If you could provide proof of that, it would be greatly appreciated. I can’t here because you cannot post an image. But I’ll later. Ok, when you get a picture of it let me know.